Cristiano Ronaldo has brought a lot of positivity and buzz in the Serie A after signing for Juventus. The former Manchester United player ended a nine-year association with Real Madrid to move to Italy. The 33-year-old superstar, who has won everything with both United and Real, will now be looking to add more glory to his illustrious career. 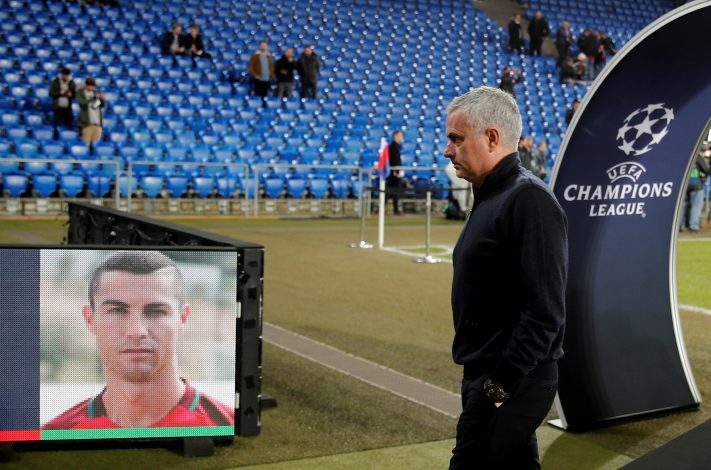 Ronaldo has certainly boosted the Old Lady of Turin, and one personality that feels that the Bianconeri will come and dictate proceedings is United manager Jose Mourinho. The Portuguese opined that the defending Serie A champions will achieve more success, and it will be easier after having the services of a player like Ronaldo in their side. However, Jose also feels that this transfer could, in turn, fire the other top rivals and give them a boost in the title race. “But, I think it can be extra motivation for rivals. Maybe this supremacy of Juventus can give AC Milan, AS Roma, Inter Milan and Napoli to boost in the title,” the Portuguese gaffer added. Last season, Juventus defended the title for the 7th successive season and pipped Napoli by 4 points to clinch the honours. With Ronaldo in, their main target this season will be to get past the line in the UEFA Champions League.